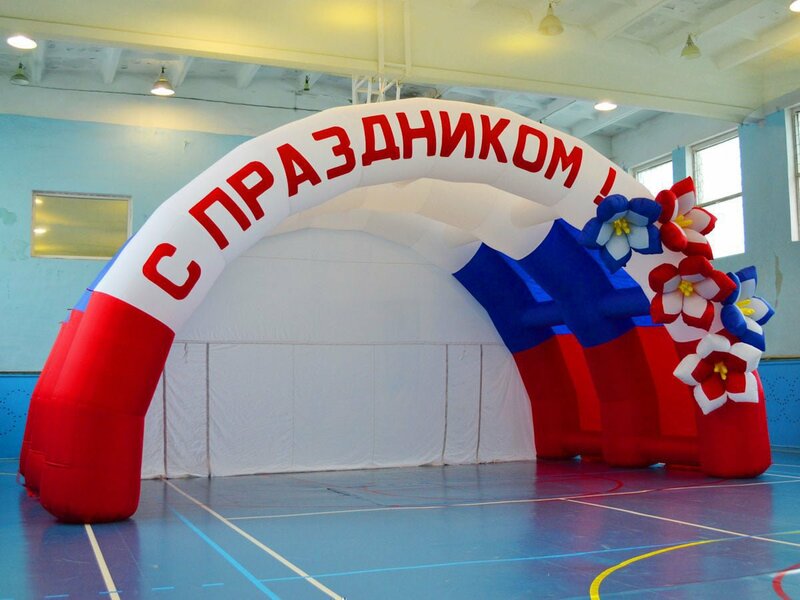 Large inflatable Winter slides and winter rides, New Year's figures, advertising media - quickly pay for themselves, we guarantee the reliability, safety and fair prices of the manufacturer since 2008! Sizes, m: Модуль с горкой 12 х 6 х 6; большой комплекс из двух модулей 11 х 12 х 6 м.
Sizes, m: 5,9 х 4 х 2,3 м. Reliability and quality in each product! 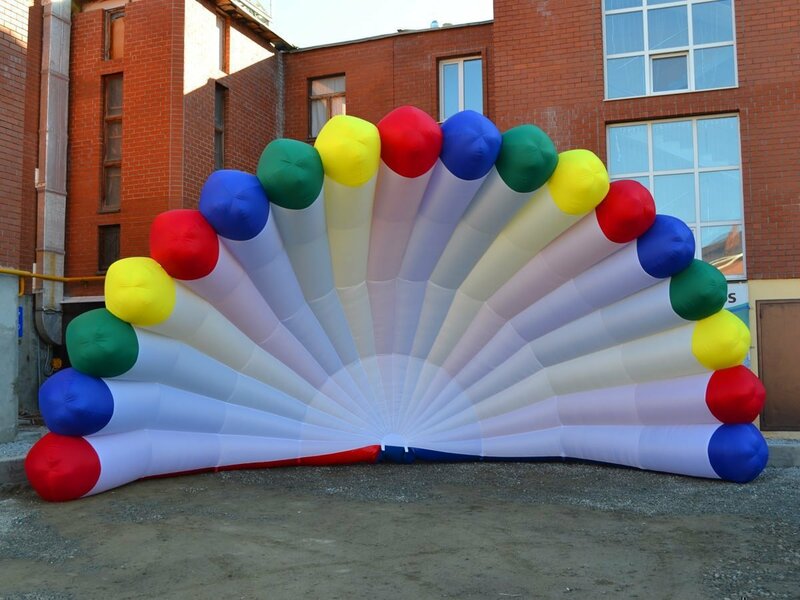 The company AEROMIR specializes in the manufacture of inflatable structures and attractions. We have been working since 2008. We have accumulated vast experience in production activities: the existing patterns have been improved, new types of products have been developed, the best materials and equipment have been selected, and optimum tailoring technologies have been introduced. Continuous development is one of the priorities in our work. Our offices are open in several large cities: Moscow, St. Petersburg, Rostov-on-Don, Novosibirsk, Kazan, Samara, Nizhny Novgorod, Ufa, Omsk. The geography of AEROMIRA supplies covers the entire territory of the Russian Federation - from Kaliningrad to Yuzhno-Sakhalinsk. Our regular customers include city administrations and palaces of culture, manufacturing enterprises and factories, large retail chains, individual entrepreneurs, advertising and event agencies. Thus, the air design, it would seem, has long been no news in the market of means of design and advertising. But they never cease to amaze us due to the infinite variety of shapes and colors, and most importantly - they leave no one indifferent. 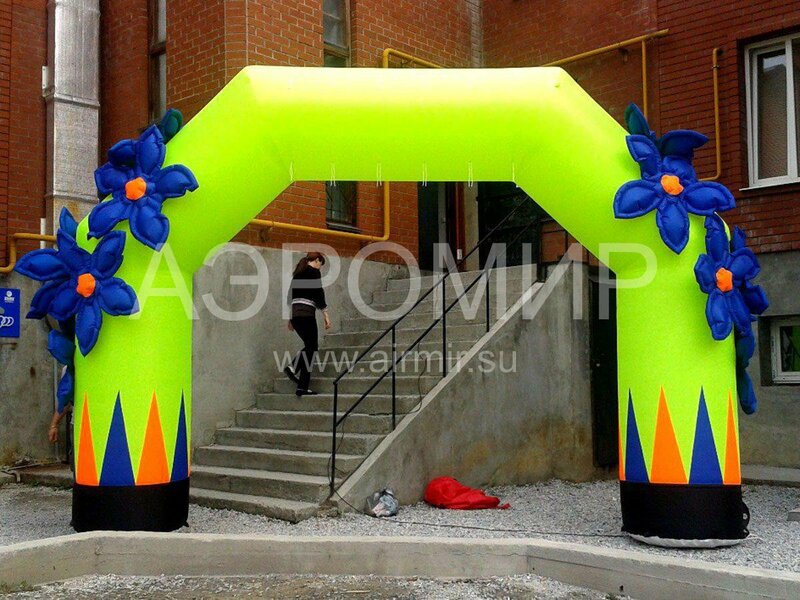 Agree, it is difficult to calmly walk past the dancing aeromen or ignore the colorful inflatable arch. The positive emotions experienced by people improve the perception of advertising information and reinforce the impressions of the event attended. This explains the extraordinary efficiency of inflatable shapes. Various kinds of rides are also known to everyone and are in steady demand. Today a separate type of business is built on them and on the positive that they give. Of course, this applies primarily to inflatable trampolines - these magnets, around which it is so crowded in summer. No less attractive are the commanding, winter and water rides, which amuse not only the participants themselves, but also the spectators. Therefore, this kind of product is the best suited for mass events - corporate, sports, cultural. Turning to AEROMIR, you can be sure that you are working directly with the manufacturer. In our spacious workshop, we have been creating various designs for over 5 years. This labor-intensive process includes the construction of patterns, the development of technology for joining parts, the selection of materials and threads, testing of prototypes and much more. It involves managers, technologists, cutters, seamstresses - the whole team. But at the exit we get a product, for the quality of which we can vouch. 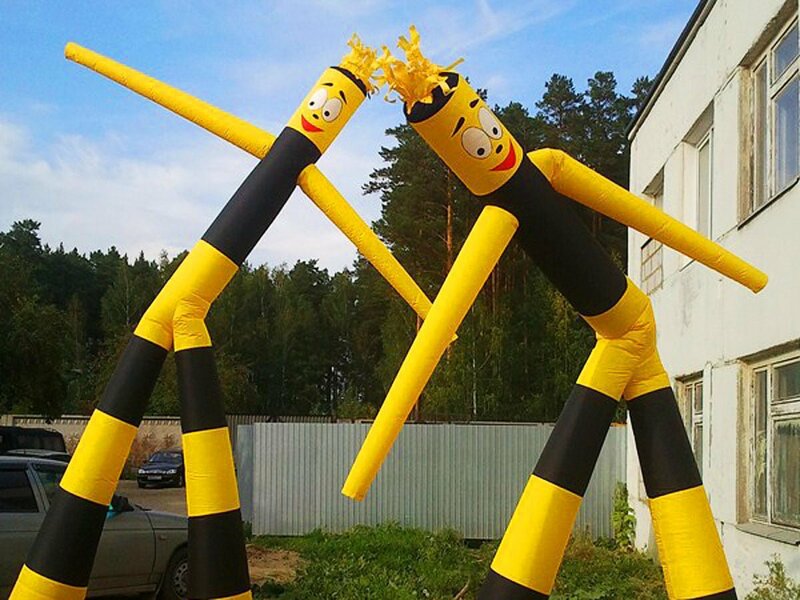 Inflatable figures and rides from the manufacturer - it is also a guarantee of the best price. Because in this case, the “customer-manufacturer” chain does not include a completely unnecessary, in our opinion, link — intermediaries. For the same reason, we can take into account your individual requirements as accurately as possible. 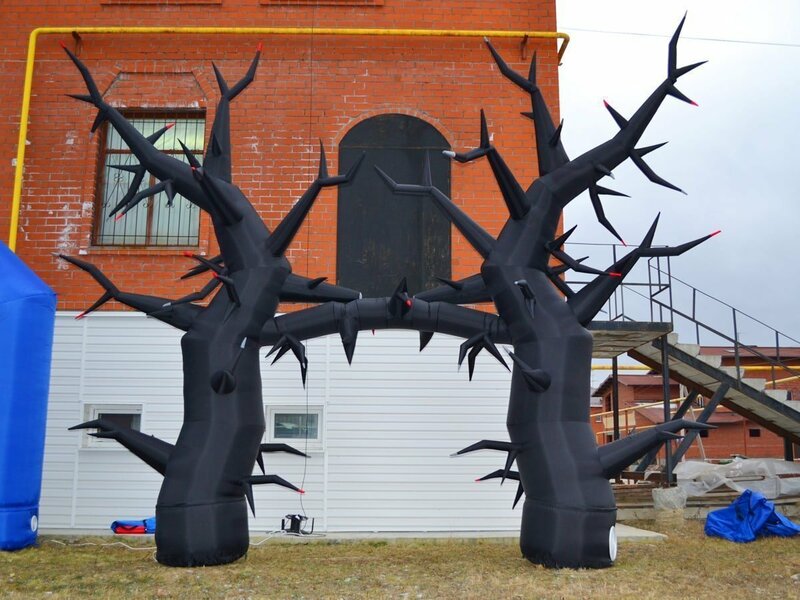 So, inflatable designs to order can be made both by standard, and by your sizes. We expanded our production to 1280 m² to produce really large products. Experienced design and engineering department: we realize any desires in a realistic 3d model, and we will manufacture a reliable pneumo structure, as in the picture. More than 25 years of experience in each product: technologists and seamstresses with maximum precision will fulfill your order. 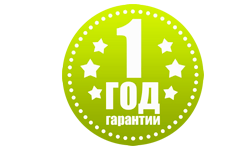 We have our own warehouse and popular models in stock: shipment on the day of payment * and the most profitable delivery throughout Russia and the CIS. Our low prices, in relation to the high quality of the products and the guarantees provided, distinguish AEROMIR in the market. There are several reasons for this. First of all, being a manufacturer, AEROMIR independently forms the cost of products and does not include the trading margin in it. Secondly, we have the opportunity not to overestimate the price for a number of objective reasons, including working directly with manufacturers of materials and components, the organization of lean manufacturing, etc. In addition, our customers can always count on a discount. Flexible pricing is one of the principles of AEROMIR. Another important plus that eases the financial burden is the postpaid system, due to which the final settlement takes place only after the product has been shipped. AEROMIR has been cooperating for many years with leading transport companies of the Russian Federation, such as ZhelDor Expedition, Business Line, Express-Auto, KIT, PEC and others. Therefore, you have access to a variety of cost and speed ways to deliver products: by air, rail or road, to the warehouse or to the door. We will help you choose the best option and calculate the approximate transportation costs. 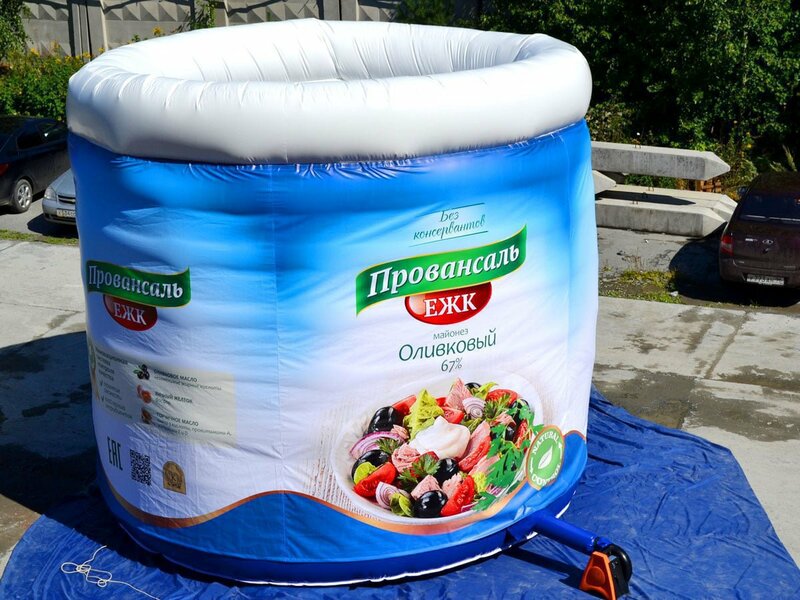 Delivery of trampolines and attractions is possible in any point of Russia and the CIS countries. Regardless of your location, AEROMIR will do its best to ensure that you receive your order as quickly as possible and at the most favorable rates. If you didn’t find your TC, please let us know, we will agree on the minimum rates for you in any transport company! 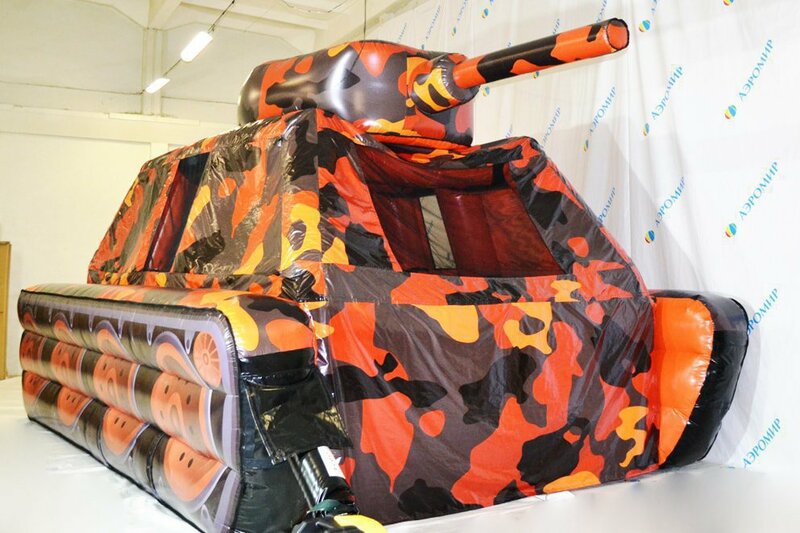 Children's inflatable trampolines and team rides, soft modules and inflatable figures are reliable and safe products for your business from the manufacturer, as well as inflatable hangars, tents, arches and inflatable advertising. Huge selection, short production time, high quality products with a guarantee of 1 year! 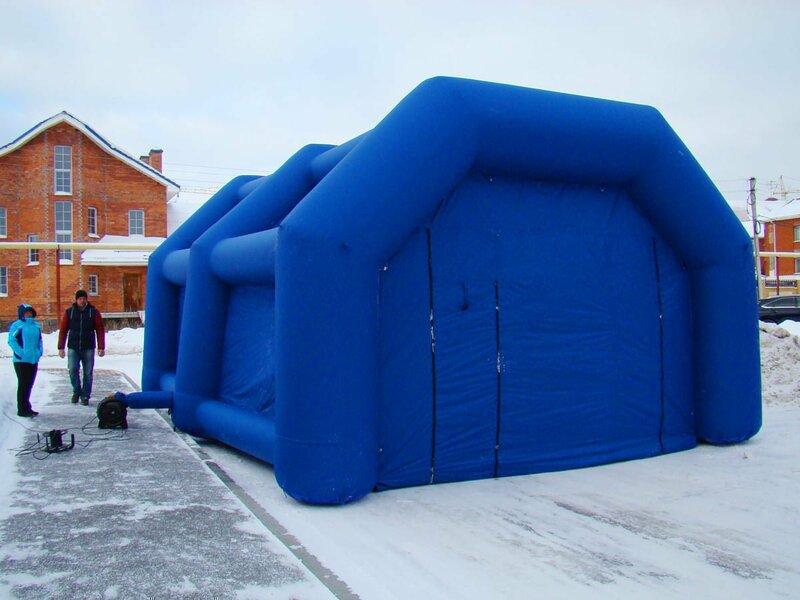 Large commercial inflatable trampolines can be seen on the street, in a shopping center, city leisure park or in the courtyard of the most ordinary residential building. 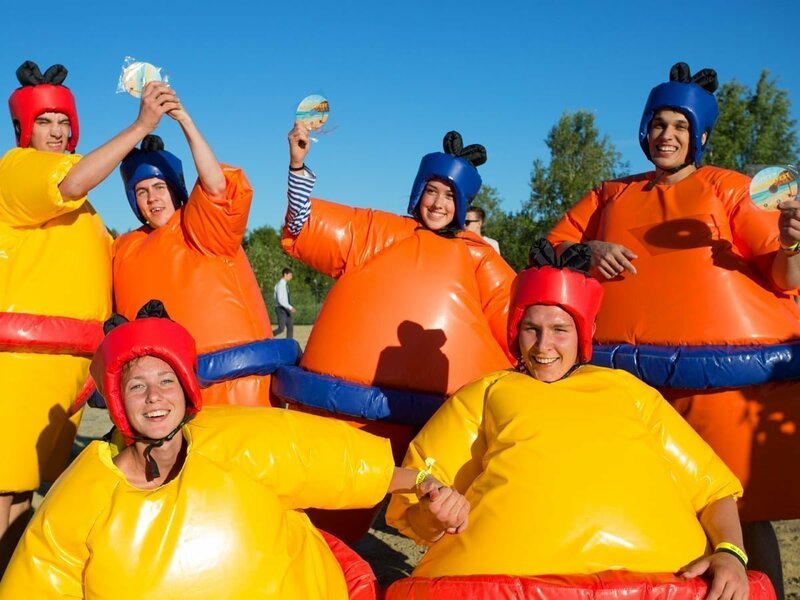 New in 2019 in inflatable rides: Inflatable slides, winter inflatable trampolines with slides, bananas, zorbs, tubing will delight young visitors and will benefit from bright colors, the most interesting content (figures, obstacles, "climbing" and slides), modern design. By sending a child to play, parents can be confident in the safety of their children, if the products are certified and have a reliable manufacturer's warranty! We are developers and manufacturers of children's inflatable attractions, such as commercial trampolines, inflatable rides, and trampolines with a slide. The whole process, starting with the stage of taking orders and designing, ending with the manufacture and supply of finished products, is concentrated in one company. The same goes for the popular team rides and soft modules. All products for little heroes and their parents meet the most stringent requirements. Our products have excellent performance characteristics, they are easy to maintain and do not require special storage conditions. We offer a wide range of inflatable trampolines, rides and figures, different in size and theme. This is the best choice for solving your business problems. Own production with an experienced design department and a workshop of 1280 m² ensures a continuous cycle of manufacturing products, including custom-made products! Our trampolines and figures are strictly controlled, and each new product corresponds to the specifications used for commercial inflatable products and rides. A convenient payment system, taking into account the individual conditions of the customer, and free delivery in Russia * ensure short lead times. Free delivery to the transport company in Yekaterinburg, all goods in stock are delivered to Moscow for free *! AeroMir has been doing what it likes for more than 10 years! 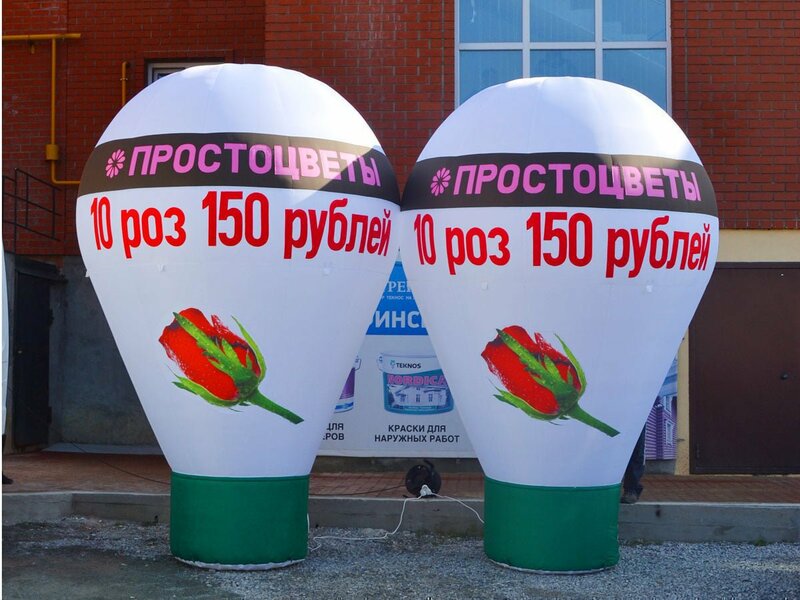 1500 customers in 157 cities of Russia, Europe and the CIS!